LFF Stadionas or Vėtra Stadium as it was previously known as is a football stadium located within Lithuania’s capital city of Vilnius. It is currently home to both Žalgiris Vilnius who are a domestic team and the Lithuanian National Mens Team. The current version of LFF Stadium first opened in 2004 after the previous ground which dated back to the Soviet Era was demolished and rebuilt. 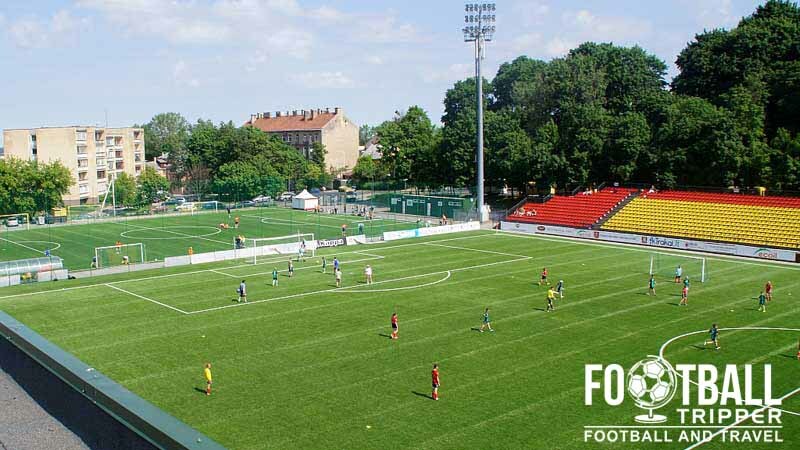 Originally known as Lokomotyvas due to its proximity to the railway station of Vilnius, upon reopening the ground became known as Vėtra Stadium. 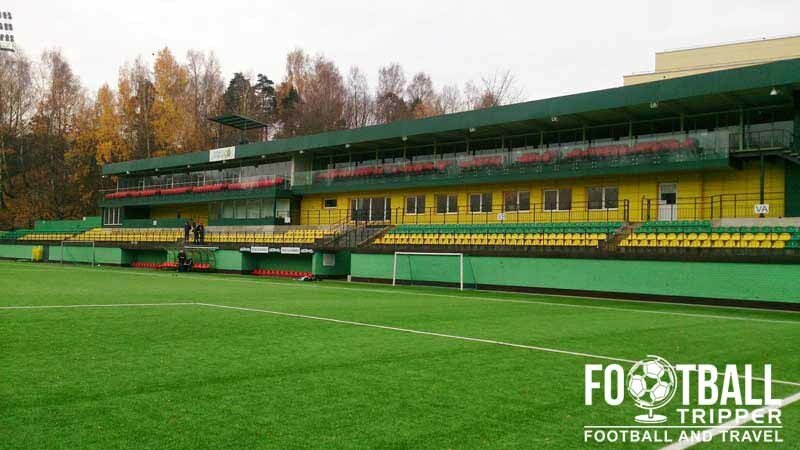 Privately financed by FK Vėtra,Vėtra Stadium became the first independently owned football ground in Lithuania, and in 2005 hosted its first international match. 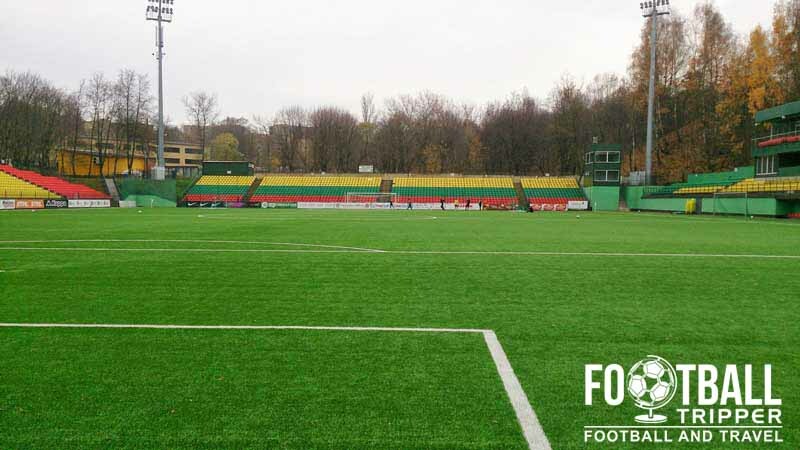 As one of the few purpose built football stadiums in Lithuania and the ground with the most modern facilities it was a natural national stadium. However the circumstances in which it became the home of Lithuania’s national team were not quite as positive. The stadium’s originally owners FK Vėtra went bankrupt in 2010, and the Lithuanian Football Federation took over the premises. 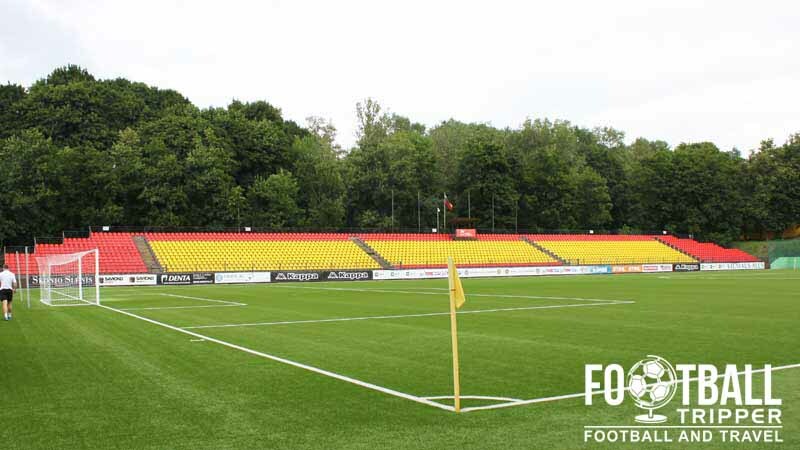 Renaming the ground to Lithuanian Football Federation (LFF) Stadium, it has become the permanent home of Lithuania ever since. Renovated between 2011 and 2012 the stadium now falls under UEFA’s 3rd highest stadium category although the playing surface remains artificial. We can’t currently find a seating plan of Lithuania’s stadium online. If you have one then please let us know! LFF Stadium is comprised of three stands: East, South and West with a vacant north side. The standard away ticket allocation is 5% which when combined with the capacity of just over 5,000, results in around 250-280 tickets per match. There are tentative plans to expand the stadium in the future but not until at least after Euro 2016. The teams line up for qualification match between Lithuania and Estonia. Lithuania traditionally play in yellow shirts and green shorts a bit like Australia. Whilst there are no places to drink at the stadium the old town is full of pubs, bars and cafes around almost every side-street and alleyway. There is a McDonald’s just outside Vilnius train station which is always popular with the match going crowd. We don’t currently have any information regarding an official merchandise shop, however for most International matches you should be able to pick up a memento from sellers dotted around the stadium. At the very least you can purchase a programme. There aren’t any stadium tours of LFF unfortunately. The main headquarters of Lithuania’s Football Federation are located within the back of the main stand next to the ground’s entrance. For tickets to see your country take on Lithuania please consult your football association/federation. All tickets for international matches must be booked in advance, and there are no on the door sales. For domestic matches of A Lyga the opposite is true as the stadium rarely sells out. The headquarters of the Lithuanian Football Federation and the national stadium are located 2.8km south of the city centre. Depending on your starting point however it could be much less with the journey by foot unlikely to take you more than 45 minutes. An aerial look at Vilnius’ picturesque old town which is exceptionally charming. There is a very small car park located south of the stadium on Liepkalnion g, however it’s unlikely that it is open to the general public on matchdays. You’re better off trying the area just north of the train station. The city is equipped with an extensive public transport network however we don’t currently have any information regarding bus routes to LFF stadium. Vilniaus railway station is exactly 900m from LFF Stadium which makes for a walk of around 12 minutes for the average football fan. The main train operator Lietuvos Geležinkeliai run direct services to the likes of Moscow, St. Petersburg, Minsk and Warsaw. The classy exterior of Vilnius Railway Station. Vilnius International Airport, the largest commercial airport in Lithuania, is situated around 6.5km from the city centre. Numerous routes are served including Amsterdam, Berlin, Edinburgh and London to name but four. Upon landing the easiest way to get to the stadium with the exception of a taxi is via the bus. More frequent than the trains which depart every 45 minutes, you can catch bus numbers 1, 2, 88 or 3G. There are dozens of accommodation options between the River Neris and Vilnius railway station. The Panorama Hotel, The Rinno Hotel and Hotel City Gate Vilnius are three highly-rated safe choices. If you want something more familiar and have a larger budget then there’s also a Holiday Inn, a Radisson Blu and a Crowne Plaza north of the old town.